Congratulations to Ali Al-Dossary on passing the Building Commissioning Association’s Associate Commissioning Professional (ACP) exam. 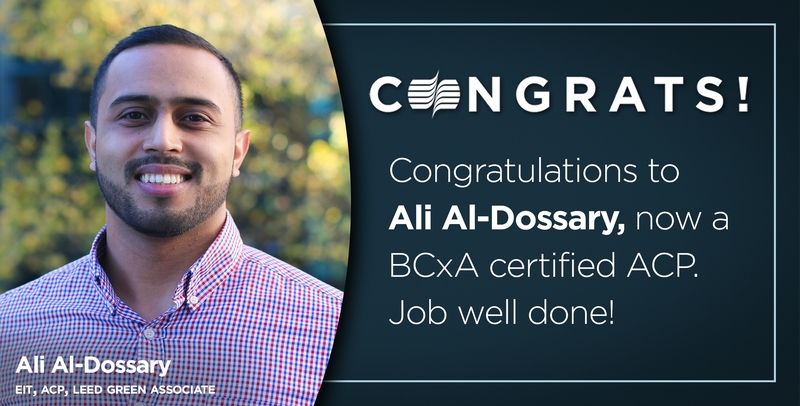 Ali is now a Certified Associate Commissioning Professional. Congrats, Ali!